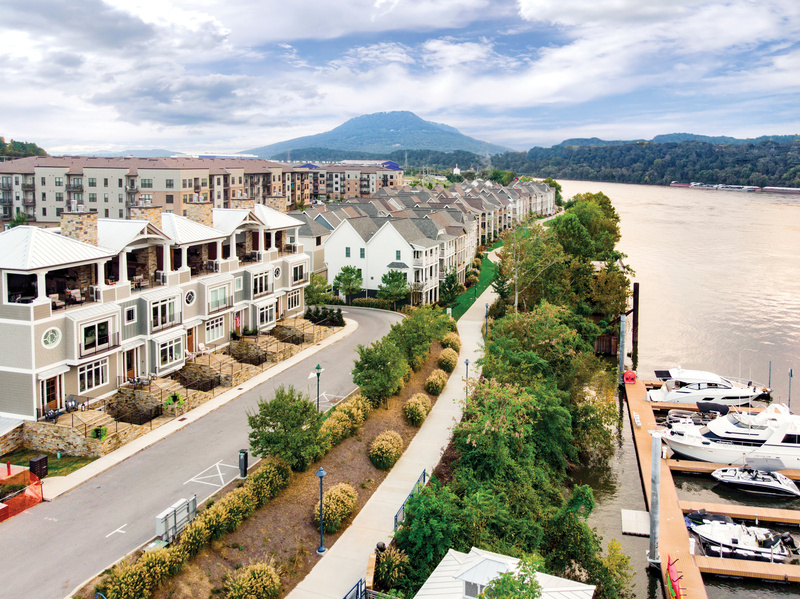 The planned community of Cameron Harbor is now a “city” located in the riverfront district in Chattanooga. All three phases of the riverfront and village homes have been sold out. Select resales are available and are listed here. The first phase of the Luxury Townhomes with boat slips is also sold out. Now preselling is the second phase of this one of a kind living opportunity. The second phase is being constructed in two parts – four townhomes are under construction and these are under contract. Presales are now being sought for the five remaining townhomes in Phase two. Price point for these townhomes is $1.4 million. 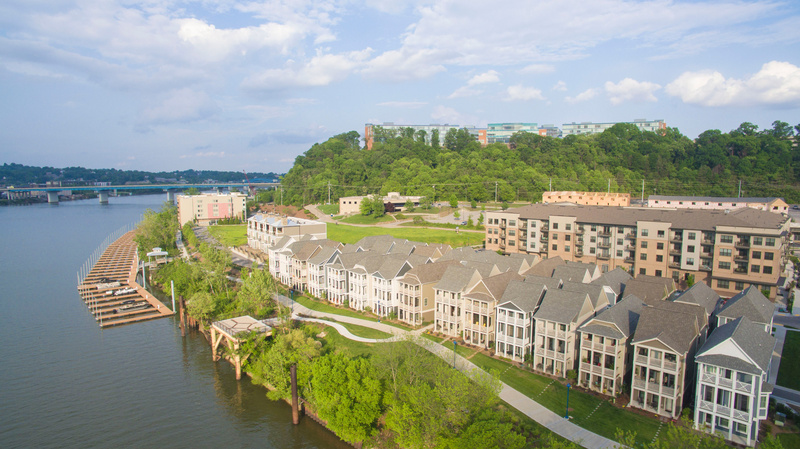 Contact Darlene Brown | Ryan May of Real Estate Partners Chattanooga LLC for information about townhome presales and any of the resale opportunities you see here.